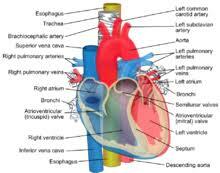 Heart: The time for heart repairs is between 11 a.m. to 1 p.m.. Your body is removing waste from the heart and you may sometimes notice a rapid heartbeat, double beats and/or skipping beats. Seventy percent of heart attacks occur when the heart is in its repair period. God created our heart with great care as it has to work round the clock. It takes great care to protect us till the last breath but most of the people are affected with it and the people can afford expenditure are going for Bi-pass surgery. I advise every woman during in her pregnancy to take care of her food which will cause unwanted entered in our blood stream. 3... I advise every one to follow Healthy habits to life happy.